Here's a video of the night captured by the talented Bailey Films! WHY: I'm super open about the fact that this book, the one that I'm holding in my hands, wasn't on my radar to write. 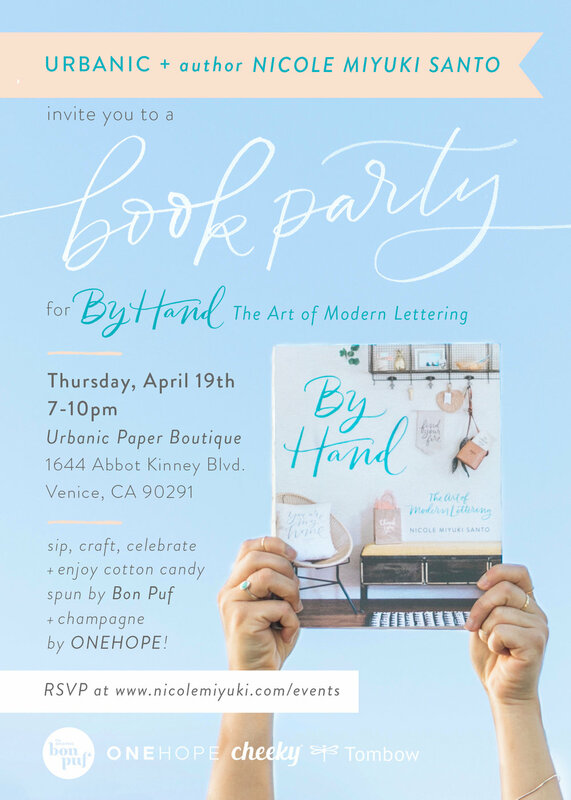 Join me as I share how it happened, the lessons I've learned, and how I truly see hand-lettering as a part of everyone's story. The event will take place at the innovative 1888 Center on the educational podcast The How, The Why hosted by Jon-Barrett Ingels. WORKSHOP: Less than a month later, I'll be teaching my Watercolor Brush Lettering workshop on Saturday, June 2nd from 10am-1pm at The 1888 Center. 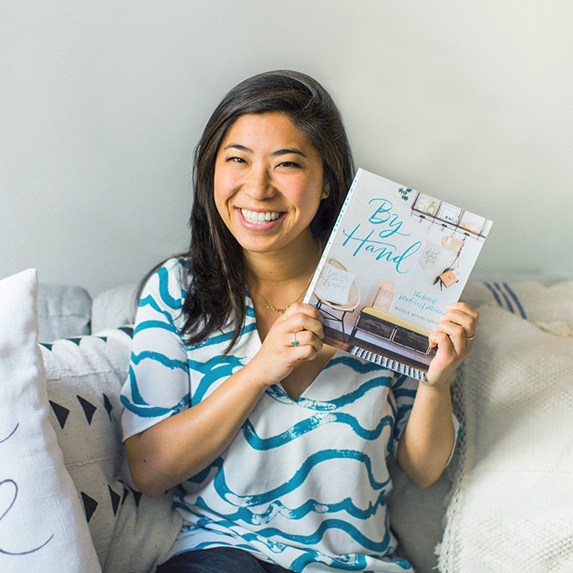 WHAT: Mother's Day Card Making + grand re-opening of the Smitten on Paper boutique! 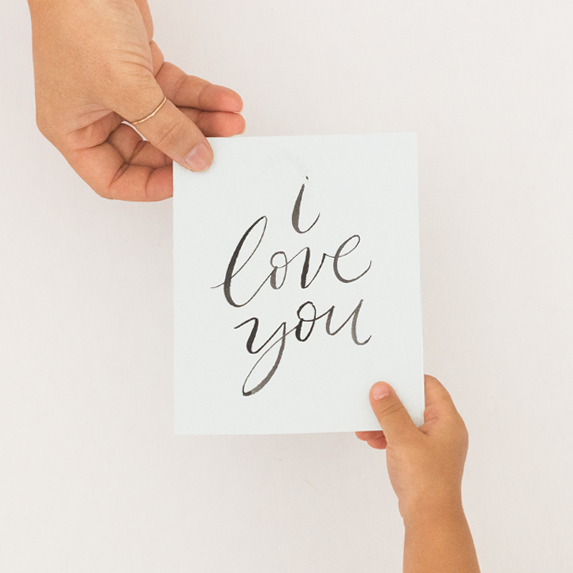 WHY: With it being Mother's Day weekend, this is the perfect chance to make your Mom (or special Momma figure in your life) a handmade note. 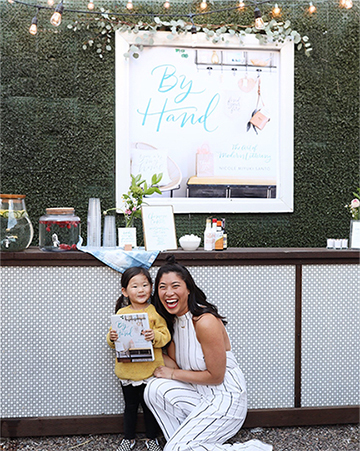 Come by for an afternoon making your own cards, create a beautiful flower bouquets from Plain Jane Posy, at here DIY flower bar and check out the newly renovated and gorgeous - Smitten on Paper Wedding Boutique. Books will be available for purchase. WORKSHOP: That morning, I'll also be teaching my Watercolor Brush Lettering workshop Saturday, May 12th from 10am-1pm at Smitten on Paper! 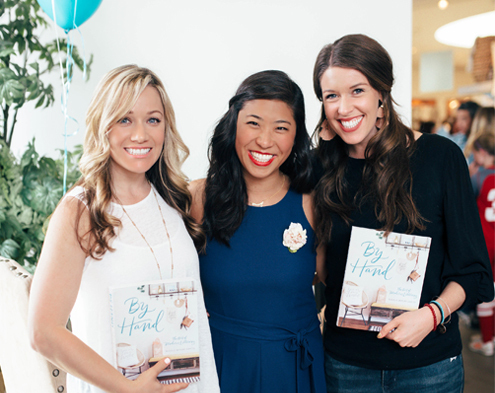 WHAT: Book Signing + Hangout! WHY: In May I'll be in Austin, Texas and would love to meet you there! 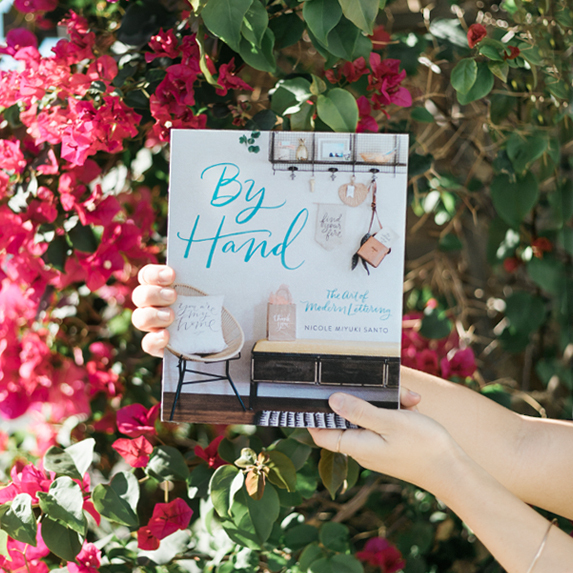 I'll be bringing some of my favorite supplies for you to craft with and make a few projects from By Hand. With Graduation and Wedding seasons upon us, it's the perfect time to make a party banner or card for that person celebrating a special moment in their life. Plus, there will be a gift for those who can come say hi :) Books will be available for purchase. 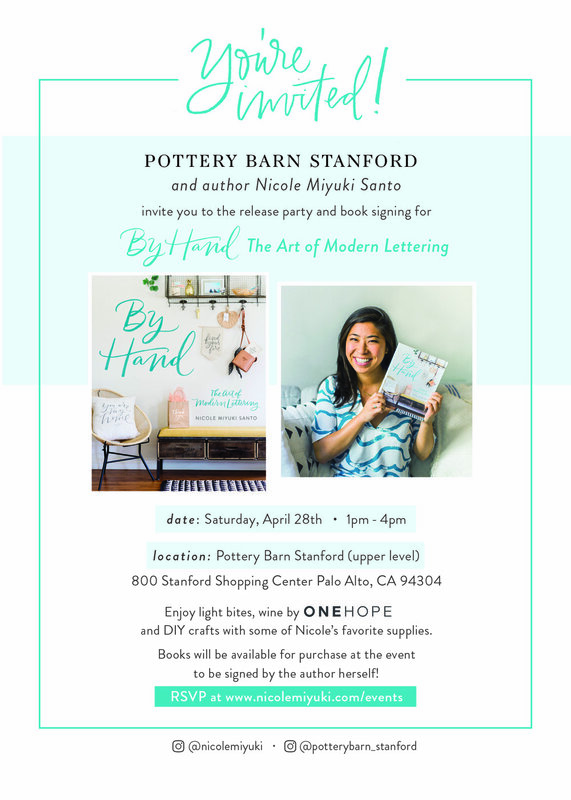 WORKSHOP: Double bonus - I'll be bringing my Watercolor Brush Lettering workshop to Austin on Wednesday, May 16th from 6-9pm at the fun Paper Craft Pantry shop. SOLD OUT! I'm also looking into a few more places in the Summer / Fall to bring my workshops elsewhere If you're in any of the states below, click to leave your information and I'll let you know when I make it happen. If you know of a place that would be perfect to host please holler! So you aren’t always the last to know.